“Couldn’t be prouder as an organization to be where we are at right now,” assured Fire District 15 Commissioner, David Sherman, in his opening statement to an engaged crowd of Tulalip citizens and Fire Department personnel who gathered to witness the swearing-in of a new fire chief. The occasion was a regular board meeting for the Fire Commissioners of Snohomish County Fire District #15 held at the Tulalip Administration Building on Tuesday, February 13. 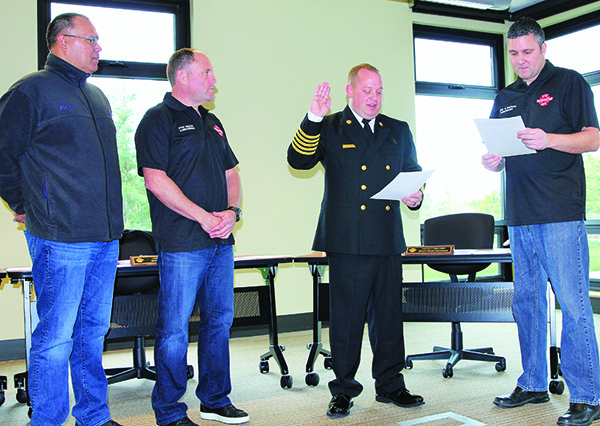 Although a regularly scheduled board meeting, it was anything but regular as the event doubled as a momentous occasion with Ryan Shaughnessy being sworn-in as Fire Chief. 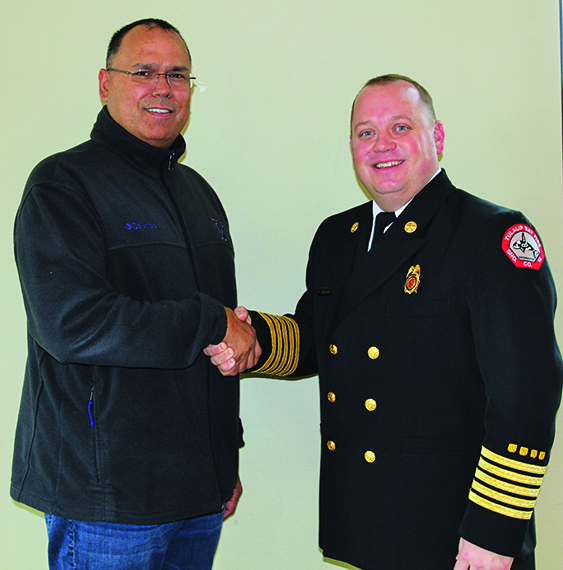 Marlin Fryberg, Jr congratulates Ryan Shaughnessy, newly sworn-in Fire Chief. Fire Chief Shaughnessy will be leading the firefighters at Snohomish County Fire District #15, known as the Tulalip Bay Fire Department, which services an estimated 13,000 people living in an area of 22 square miles on the Tulalip Reservation.